Makes an ideal gift for any Disney Frozen fan! 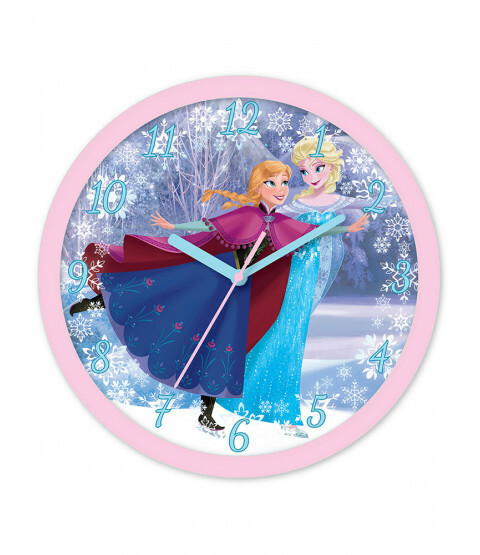 Add the finishing touch to any Frozen themed bedroom with this official wall clock. 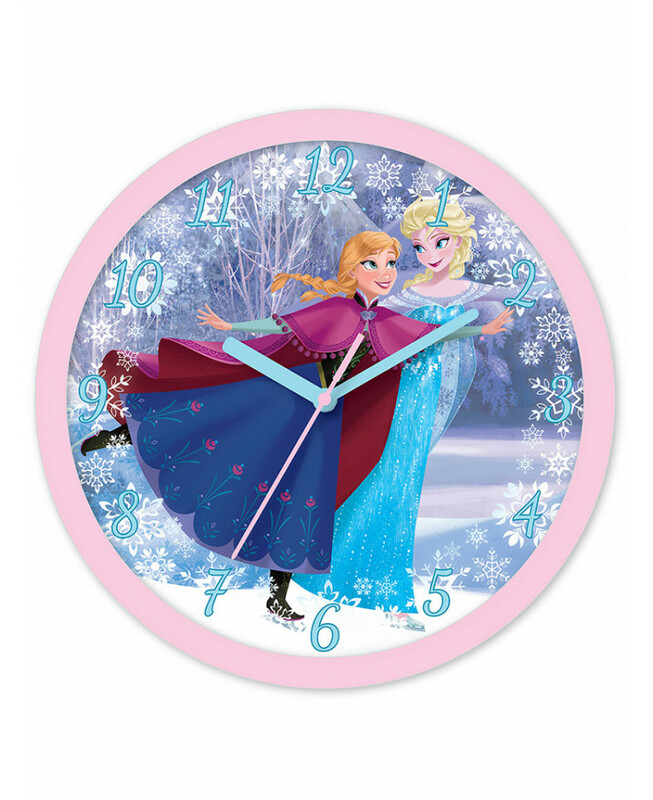 The clock face features a fantastic images of Anna and Elsa ice skating. The large numbers and hands on the clock also make it ideal for helping with time teaching and routine setting.